Alexander McGregor (1821–96), shipowner and merchant, was born in Scotland and arrived in Hobart Town in 1831 with his parents. After marriage with Harriet Bayley in 1847, he bought shares in her brothers' whaling venture and had a whaling fleet of eight ships by 1857. He owned the Domain shipyard from 1855 to 1869, and established a profitable general merchant firm with a large warehouse in Salamanca Place and many ships – known as the 'Red Iron' fleet – which exported whale oil, wool and timber. 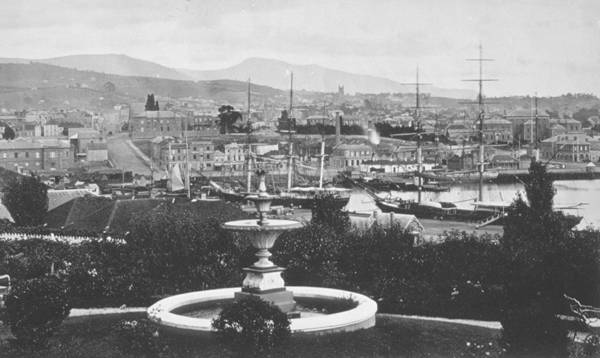 McGregor was the Member of the Legislative Council for Hobart from 1880 to 1896. His proposal to boost migration to Tasmania by offering subsidies to British shipping companies saw the number of arrivals double in the next decade. Further reading: ADB 5; P Mercer, A most dangerous occupation, Hobart, 2002.